In Terry’s MHWOW 2018 Year-In-Review, we highlighted MHWOW’s largest accomplishments in 2018, including the 100 MHWOW hosts who are creating MHWOW programs in North American cities without a Moishe House. 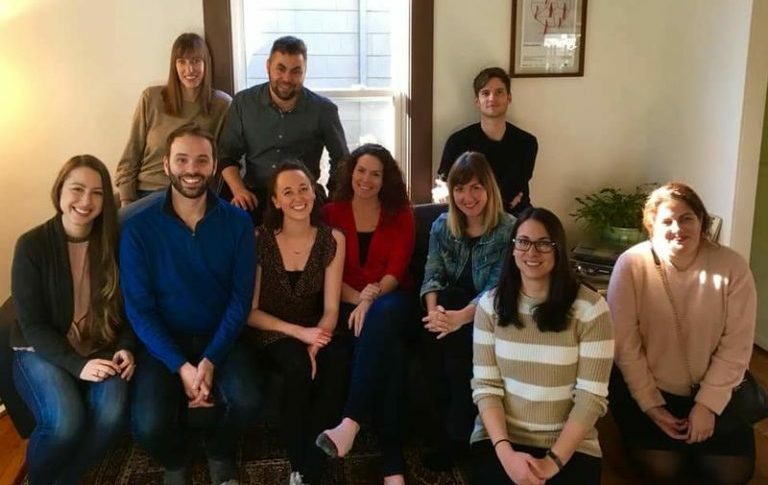 These hosts are expanding the organization’s reach to places from Juneau, Alaska, all the way to South Portland, Maine. It makes you stop and appreciate the impact of peer-led programming, right? As we move into 2019, we are incredibly dedicated to the continued investment in young adult Jewish leaders across North America who are living in places without a Moishe House. Jewish community is important to us, and we want to expand MHWOW’s footprint even further. We want more great people to go on retreats and become MHWOW hosts! This is where you come in. Are you already a MHWOW host in a city without a Moishe House? You can help! Empower a friend who has attended one of your programs to go on a retreat to become a host using the three steps below. They have already shown Jewish community is important to them, and they can provide even more opportunities for young adults in your area to build Jewish community. More programs, more fun! Shout out to our Thornhill community outside of Toronto! In 2018, the 7 Thornhill MHWOW hosts created 65 MHWOW programs. Their group was able to engage more than 600 people. There is power in numbers and even a small group of MHWOW hosts can make a big impact. Are you a MHWOW host in a city with a Moishe House? You can help, too! Recommend a friend who lives in a city without a Moishe House to become a MHWOW host. Sharing is caring, and don’t you want to share your awesome friends with us? Recruit your friends to become MHWOW hosts in three simple steps. 1. Share why MHWOW is important to you and its impact made on your community. 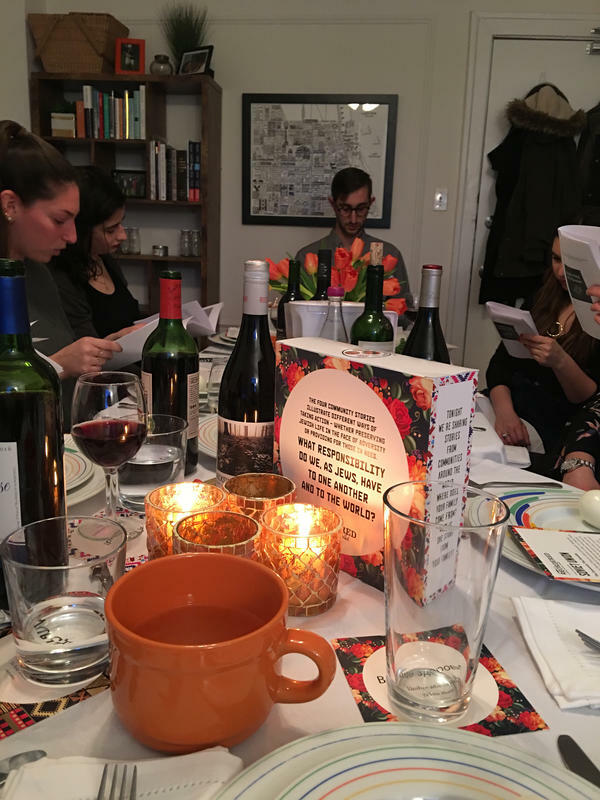 I would share that MHWOW is really important to me because I was empowered to host my first Passover seder as an adult. From start to finish I knew I had the support to find a Haggadah, make 50 matzah balls, and facilitate conversation with my JDC Entwine Passover toolkit. I do not live close to my family so traveling home for holidays is difficult, and I was able to provide a space for friends in a similar situation. Small apartment but a huge heart after hosting my first Passover seder! 2. Share the Moishe House retreats calendar to help find a location they have always wanted to visit or theme that sounds most interesting to them so they can attend and become a host. Make sure Liza knows that they have applied too. We can prioritize their application! Through generous support from the Howard and Geraldine Polinger Family Foundation, Jewish Learning and Leadership Retreats are even more accessible. Any community member from a city without a Moishe House can receive up to $250 in travel reimbursement to offset travel costs. As always, Moishe House retreats are at no cost to participants due to support from the Maimonides Fund. 3. Send follow-up texts to make sure they have applied because good friend don’t let their friends miss out on becoming MHWOW hosts. Email Liza at liza.moskowitz@moishehouse.org with any recommendations to help expand MHWOW into new communities. She is more than happy to reach out personally and have the conversation with you and your friend. 2019: the time for MHWOW is now!